For world class fly fishing in the greater Yellowstone area, look no further than the West Fork Cabin Camp. But your stay at the Camp won’t just be limited to stream side accommodations within walking distance to some of the best angling in the world, you’ll be within spittin’ distance of so many outdoors, adventure, sightseeing and cultural activities, you’ll want to stay for a whole month. From scenic rafting to fishing, birdwatching to hiking, and the quintessential outpost for elk hunting and angling, let the West Fork Cabin Camp provide you with the perfect vacation to southern Montana. There is no shortage of things to do in West Yellowstone! The Madison River area is known world wide as a blue ribbon trout mecca. There are almost unlimited places to fish from out your backdoor on the Madison to secret spots on the Gallatin river, Cliff and Wade lakes, Hebgen lake, Quake lake and on and on. 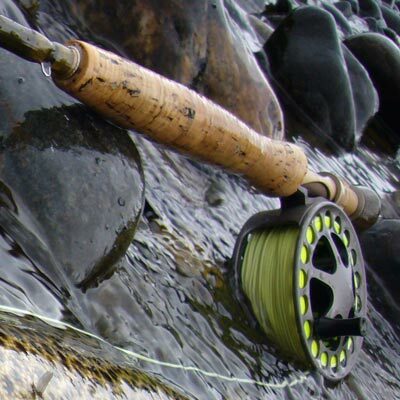 Fly fishing opportunities abound in and around the cabins. Within 30 minutes of your cabin you can fish 13 of Montana’s finest streams and 13 lakes. The Yellowstone, Gallatin, Henry’s Fork, Ruby, Gibbon, and Firehole are all within an hour’s drive. We have two rafts for rent. They both have rowing platforms and swivel seats. They are ideally set up for angling on the Madison River. Forest Service roads run for miles through Beaverhead National Forest. 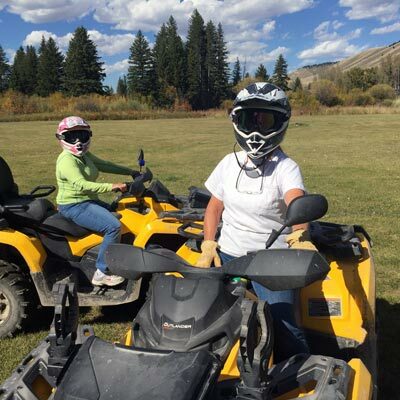 Guests enjoy our fully stocked cabins as an outpost for off road vehicle touring. Using ATVs to hunt during all the various bow and rifle seasons each Fall is a great way to access roads and game. Big game hunting on Montana’s famous Gravelly Range in Beaverhead National Forest is one reason why people return to the Cabin Camp year after year. Deer, elk, moose, antelope, big horn, upland birds, waterfowl and bear will be your quarry. Bow hunting is very popular and fruitful in the area. Bow hunters and rifle hunters are encouraged to book early to reserve their spot at the doorstep of some of the best deer, elk and sheep hunting in North America. Many guests come to the West Fork Cabin Camp to enjoy spectacular bird watching. From bald eagles and loons to a spectacular variety of songbirds, birders travel worldwide to visit our region along the Greater Yellowstone Ecosystem. Photographers come to the area for weeks at a time, honing their craft and competing among some of the best nature photographers in the country.